say “Flowers” for FingerFood’s Theme Buffet. part of the Floridan life, but I don’t remember EVER having a “spring” feeling. pleasant. But the last few days – have been in the 80s, hot, and humid. I have to assume there are just cute little birds chirping along. ALL what happens, but that’s ok, I can dream. 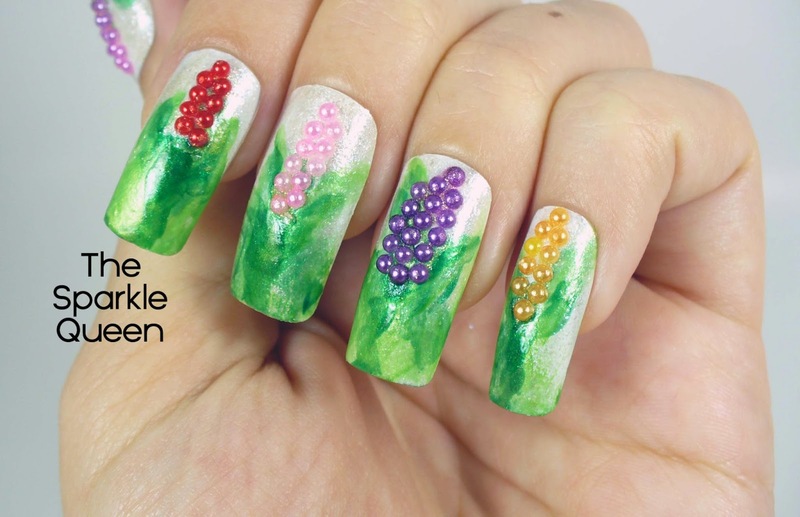 and try and paint the flowers too! That would be crazy. And hideous. channel so you get updated when I upload tutorials! These are so pretty! I love how dream-like the leaves are and the way you did the flowers adds a lot of dimension. Thank you Manda 🙂 I wish I could trade some heat for some COLD! If only…..
How fun! These are definitely something I haven't seen before too. so wise use of pearls ! 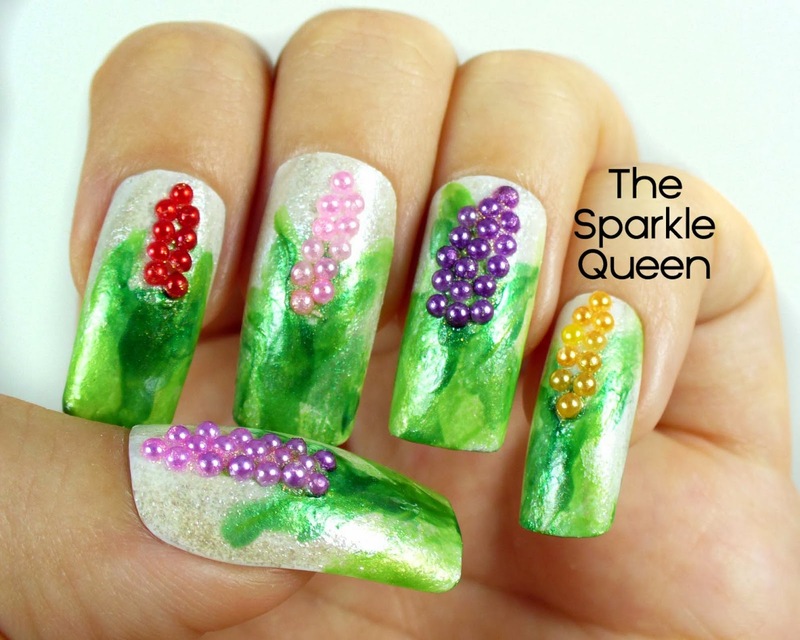 Oh my dot… These are gorgeous! 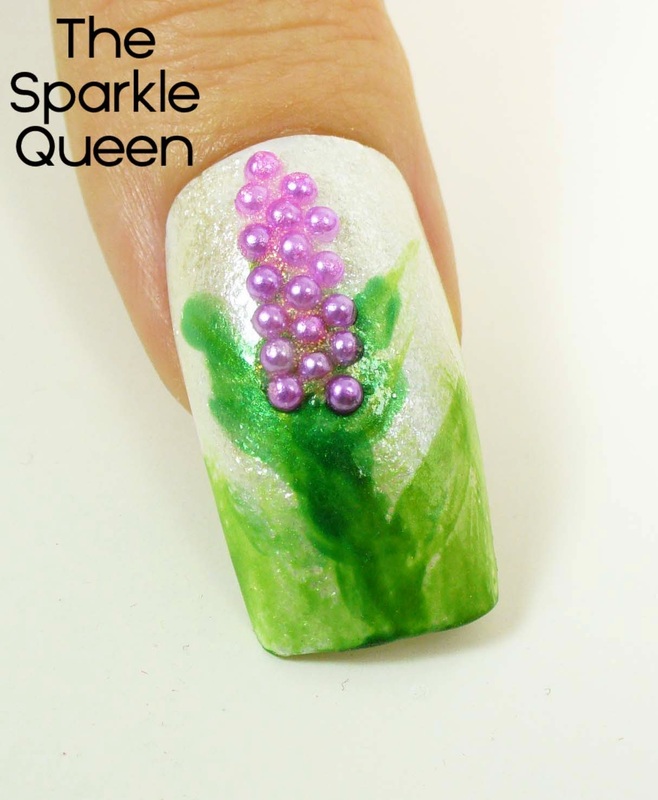 I love using microbeads for the flowers! I've been agonizing over wanting to do bluebonnet nails, but my last attempt was such a fail. You may have just given me the keys to the kingdom! Hehe thank you! Actually, I should go update the details. Those aren't micro/caviar beads (though they look just like it) they are actually flat back stones (like the rhinestones) that are probably plastic, but have a pearl look to them. I envy the warm weather!!! Really nice mani. 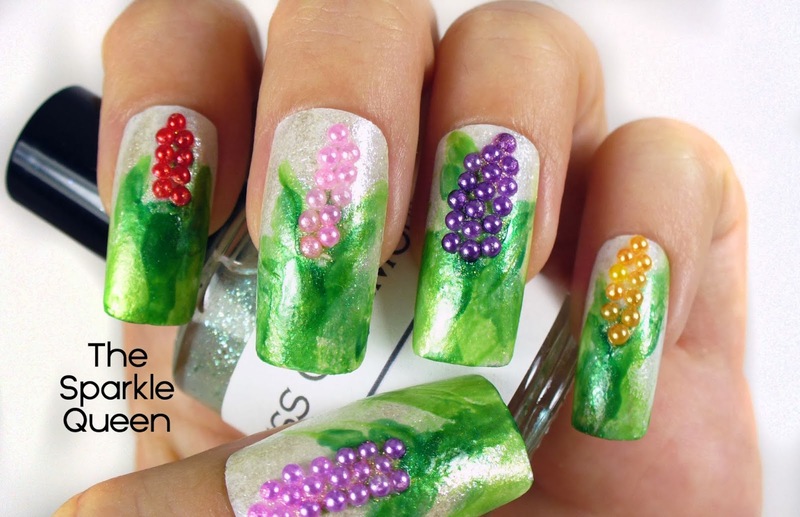 How ingenious to use micro beads for the flowers! And there are some really talented women in this challege! This is so awesome! 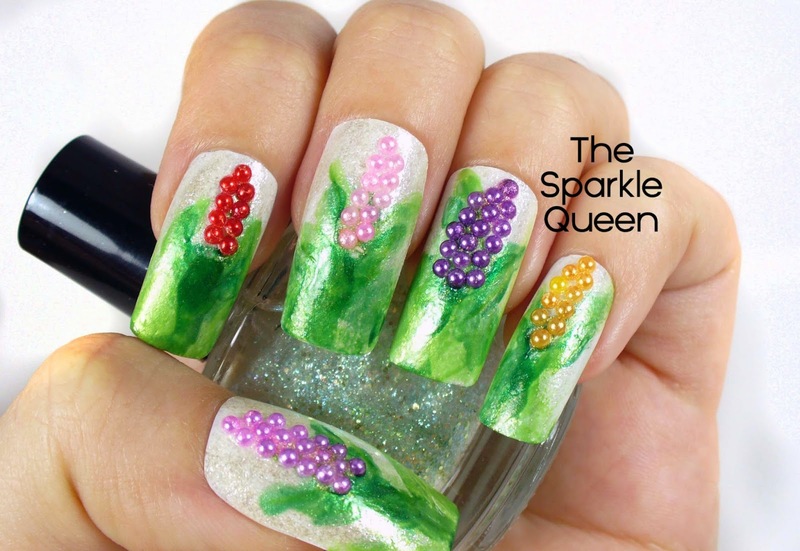 Such a creative use of those caviar beads! Love the final look. WOW! I've never seen anything like this. So pretty and SO creative!